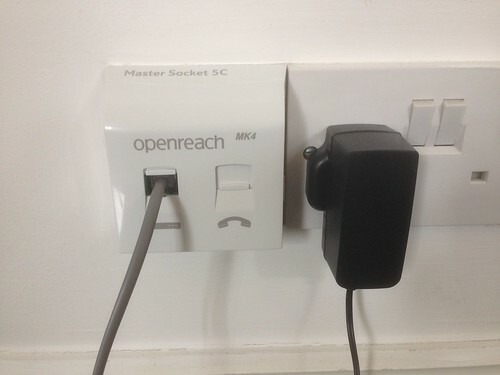 This entry was posted in osde and tagged adsl, bt, openreach, socket on 12/07/2018 by osde8info. This entry was posted in osde and tagged bt, costs, phone, prices, uk on 07/01/2015 by osde8info. +44 56 location independent ? This entry was posted in osde and tagged bt, dialing codes, telephone numbers, uk, voip on 03/05/2013 by osde8info. This entry was posted in osde and tagged adsl, broadband, bt, hub, router on 23/04/2013 by osde8info. GBBO is a joint initiative by Google, Enterprise UK, BT, e-skills UK and many other partners to help small businesses create their first website and help them understand the opportunities offered by the Internet. We've set a target of helping 100,000 UK organisations get their first website easily and for free by the end of 2010. This entry was posted in osde and tagged bt, free of charge, google, hosting, smb, sme on 25/08/2010 by osde8info. BT Tradespace is a Business Media Network online community incorporating a business directory and marketplace. On this site you can buy and sell products and services, find a business and network with other like-minded individuals.Launched in April 2007, BT Tradespace is a platform that brings businesses and individuals together making it easy for them do business online. Unlike a conventional business directory, BT Tradespace members can use social media tools such as blogs, photos, videos and podcasts to promote their products and services. For prospective customers, it provides the opportunity to get to know a business before buying from them. They already claim to have 80,000+ members and 1000+ communities ! This entry was posted in osde and tagged bt, business media network on 02/06/2008 by osde8info. How does BT Openzone relate to BT FON? BT Total Broadband customers who are members of BT FON can use their Wi-Fi minutes to access BT Openzone hotspots as well as BT FON hotspots. Do I have to be a BT Total Broadband customer to join BT FON? If you are not a BT Total Broadband customer, you can access the BT FON network by buying a BT Openzone voucher at www.btopenzone.com/buy. Can BT FONero's use BT FON abroad? Yes you can connect to broadband at any FON hotspot around the world – anywhere that you see the "FON" Wi-Fi signal. Go to www.bt.com/btfon to see hotspot maps of the world. But why is this a one way deal and why can't normal FON users use the BT FON & BT OpenZone networks ? This entry was posted in osde and tagged bt, community, fon, fonero, hotspot, wi-fi on 24/04/2008 by osde8info. BT FON Wi-Fi now lets you roam for free and make money at home ! Previously you had to chose between free worldwide wi-fi roaming or making money but NOW you can do BOTH ! Roam for free and make money with your WiFi ! Foneros can now both connect for free and make a little money by participating in the FON Community. It’s easy. Every time a visitor (non-Fonero) detects your WiFi signal there’s a good chance you can make a bit of “dinero”. This entry was posted in osde and tagged bt, community, fon, roaming, voip, wi-fi on 08/10/2007 by osde8info.